The cryptocurrency market is still holding support at the $200 billion level. Tim Draper predicts an $80 trillion market in 15 years. The cryptocurrency market has seen a quiet few sessions as Bitcoin failed to mount a meaningful break from the $6,000-6,500 range. With a lack of news in the pipeline, large investors have likely been waiting out the downturn and this has led to price action being driven by trading volume only. 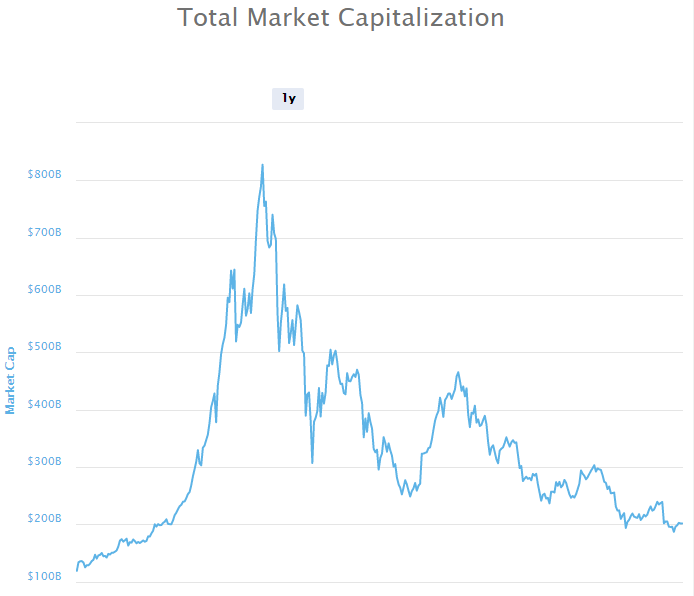 Despite the recent losses in some coins, the market capitalization of the cryptocurrency market is still trading above $200 billion, giving hope that a bottom may be forming at this level. I have noted in recent articles that some coins are also creating this basing formation and we simply need to see a bullish catalyst to confirm that this level can hold over the medium term. Last week saw two billionaire crypto investors making important calls on the market. 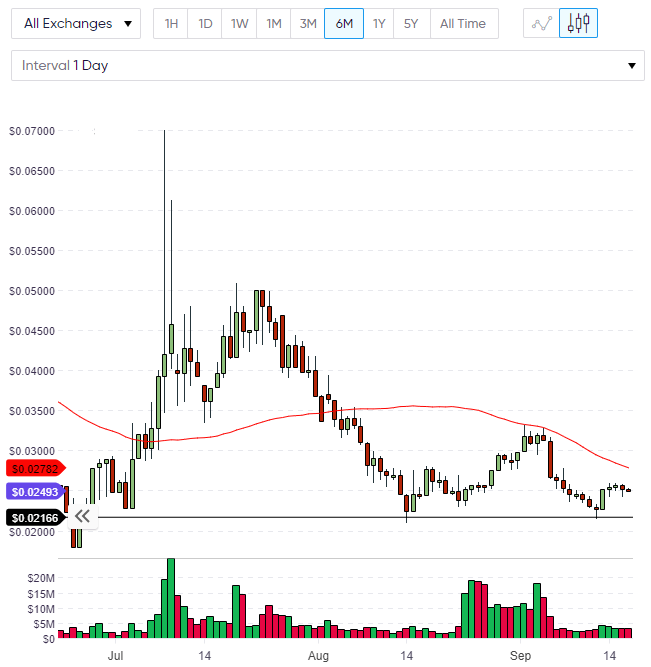 Mike Novogratz highlighted a chart of the overall market and stated that he saw this as the bottom for prices. Tim Draper, another billionaire venture capitalist, was also bullish about his long-term expectations for the market. The internet started in the same way, it came in big waves and then it kind of came crashing down, and then the next wave comes concentrated but much bigger, and I suspect the same thing will go on here (with bitcoin). I think it’s going to have such a transformative effect on industries that we never even imagined would be transformable. 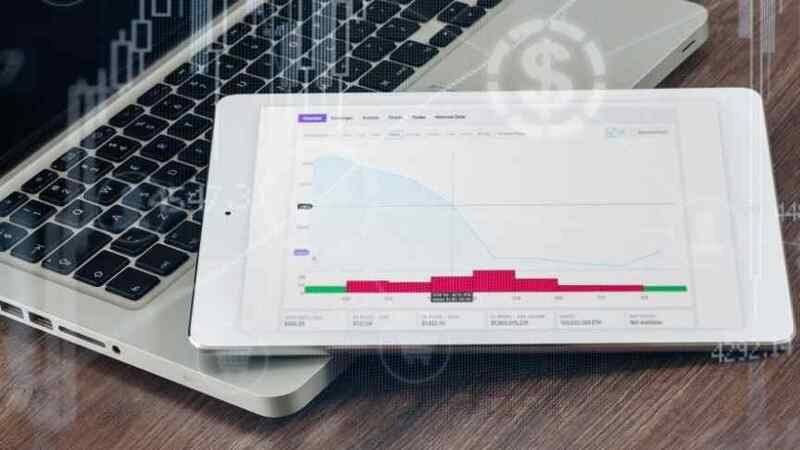 The internet went after industries that were $10-100 billion dollar markets, cryptocurrency will go after trillion dollar markets – these are finance, healthcare and insurance, banking and investment banking, and governments. Tim Draper made his fortune as a venture capitalist in Silicon Valley with successful bets in companies such as Baidu, Tesla and Skype. The price of Bitcoin currently trades just shy of the $6,500 resistance and the weekly chart highlights the market’s inability to rally from the previous bearish week. 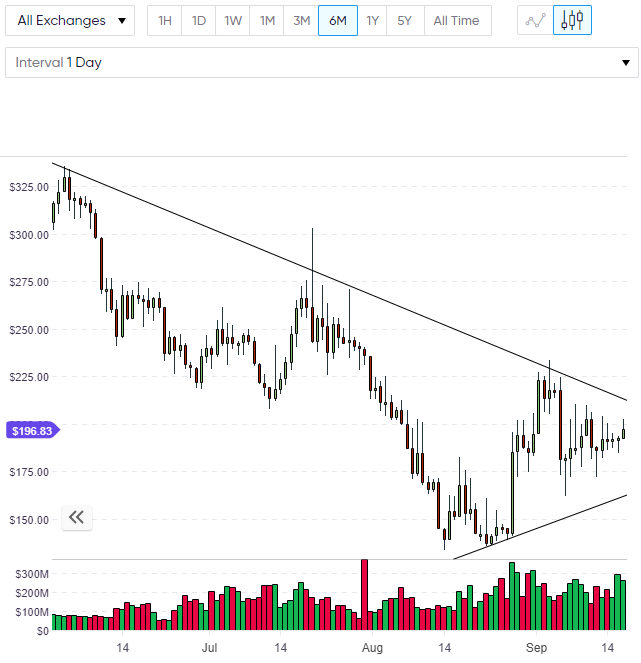 We now see Bitcoin trading in a triangle formation and the lack of news catalyst in the last week underlines this setup. 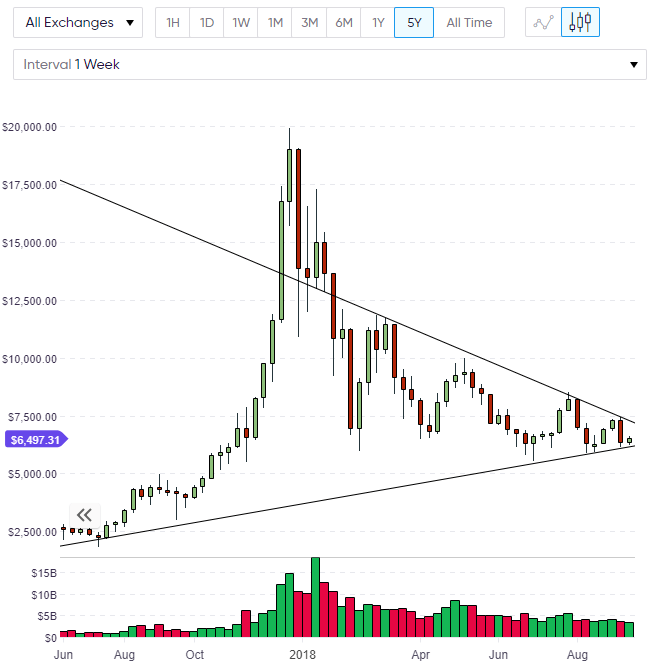 The next significant news catalyst will see us break out from this triangle and will create the next trend for the medium-term. Key levels for the week are the $6,000 support level and the $7,500 resistance level. The price of Bitcoin Cash put was lower last week and is tracking the direction of Bitcoin at the moment. 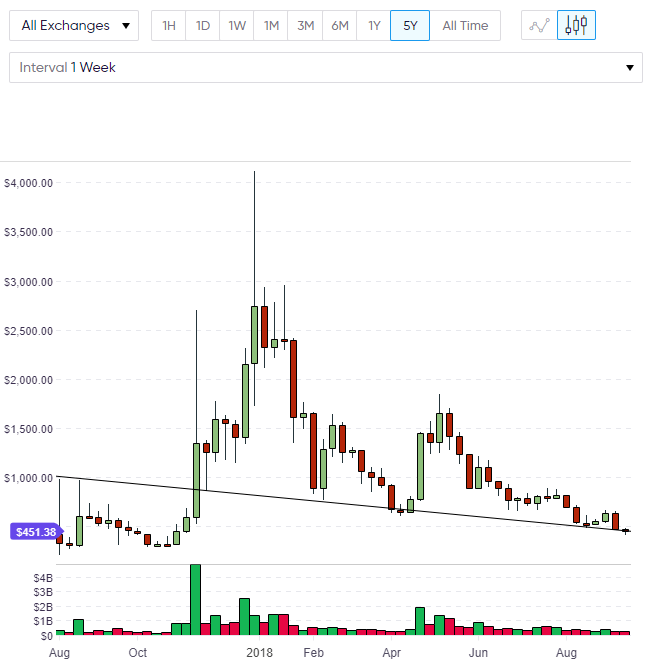 We can see a support level which ties the late-2017 rally and the lows in April which makes this an important level for BCH. If the general market is forming a low, then this would be a good place for BCH to mount another rally. Price is currently at $451 and $500-750 is the obvious resistance levels on the way to $1,000. Bitcoin Cash has an upcoming protocol upgrade in November, where Canonical Transaction Ordering (CTOR) is one of the proposed changes seeing a lot of discussion in the BCH community. DASH is trading in a similar setup to Bitcoin with price being contained within a triangle formation. DASH currently trades at $196.83 and the $200 level is the first resistance that needs to give way for further upside. If the market can create a bullish break from the triangle then $225 will be the next obstacle on a weekly level. The DASH community has not been happy in recent months, with some users calling for the resignation of DASH CEO Ryan Taylor. 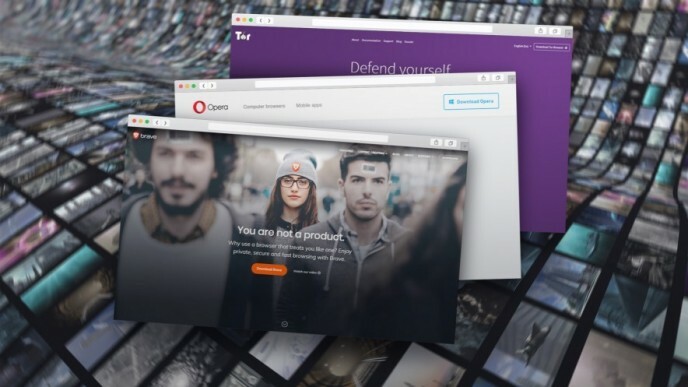 The accusations against Taylor suggested that he has dented the market’s confidence in the project by breaking promises and deadlines. However, he may have been a victim of being too ambitious at the time. The community voted against the proposal by 960-to-154 votes, for now, if DASH sees further problems down the road we may see this issue pop up again. In Digibyte we can see that a potential bottom is forming around the $0.2166 level. Digibyte’s rally into early-September was contained by the 50-day moving average and if we can hold this support then the moving average will be the first target, followed by the recent highs over $0.0300. Digibyte is seen as one of the fastest, most secure, and decentralized blockchains in the market. DGB holds number 34 in the list of coins by market capitalization with a value of $275 million.